GomSpace has a combined order book and pipeline for 500-700 smallsats and the company currently setting the scene to ramp up production to meet order commitments orders in the pipeline, with more to come. Setting the team, GomSpace welcomes a new member to its executive and top management team, Peter Høy, who will be the Chief Production Officer, effective August 15. Peter Høy, Gomspace's Chief Production Officer. Peter Høy has acted as the Production Director with GomSpace since September 2017. Based on a strong profile with years of experience in change management within the production environment, Peter Høy will be responsible for GomSpace’s organizational change and commitment to serial production. Peter Høy has worked with industrial optimization across borders and counts records as the CEO of EuroCom Industries, Executive Vice President at Trane & Trane, Site Manager in Martin Professional as well as managing director for Center for Logistik og Samarbejde. GomSpace has already taken several steps towards serial production, and in past years, the company has produced thousands of components to the commercial, academic markets and segments in the defense and security industry, plus work for ESA and NASA. Last year, GomSpace set out to complete nanosatellite constellation orders, with capacity expected to produce one satellite per week and will put GomSpace in a position of being the number one manufacturer of smallsats. 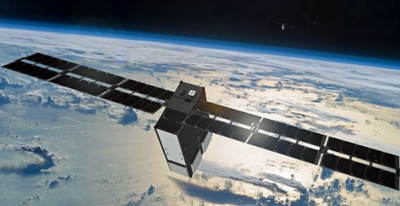 In particular, nanosatellite constellation orders for Sky and Space Global, Aistech Space and Aerial & Maritime will dominate GomSpace’s serial production. The space industry grows considerably across the globe, and looking at venture capital investments, current focus is on business models that can embrace the commercial use of nanosatellites. As one of the world’s leading manufacturers of such satellites, GomSpace is very well equipped to benefit from this development. Niels Buus, the CEO of GomSpace, said that the company is facing orders worth hundreds of millions of Danish Kroner, and even though the firm has already shown that complex challenges can be handled, the firm needed to strengthen the production and management further. Every day, a little bit of world history is being written because this is the first time this kind of production has taken place.